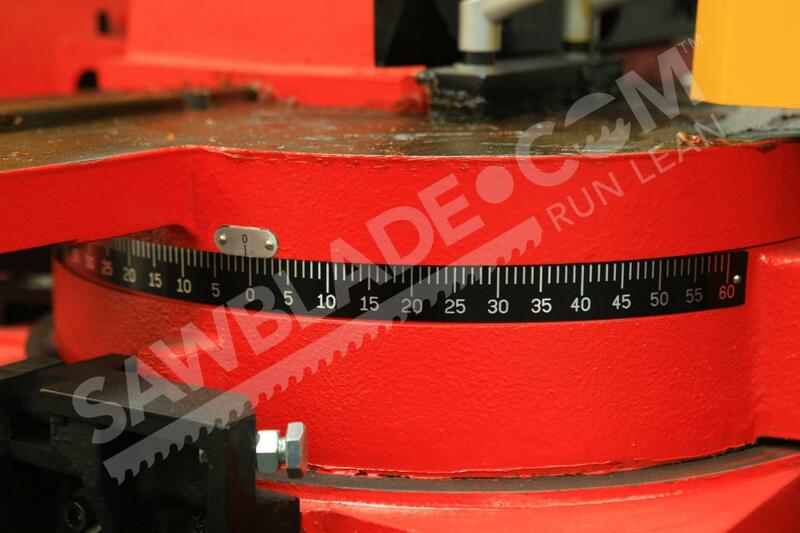 Blade Length: 150 x 1"
Most band saws fall into a few distinct categories, but the Trajan 1319 defies expectations. It’s rare for one saw to have such a wide range of capabilities in addition to all the technological bells and whistles, but the Trajan 1319 is just that. 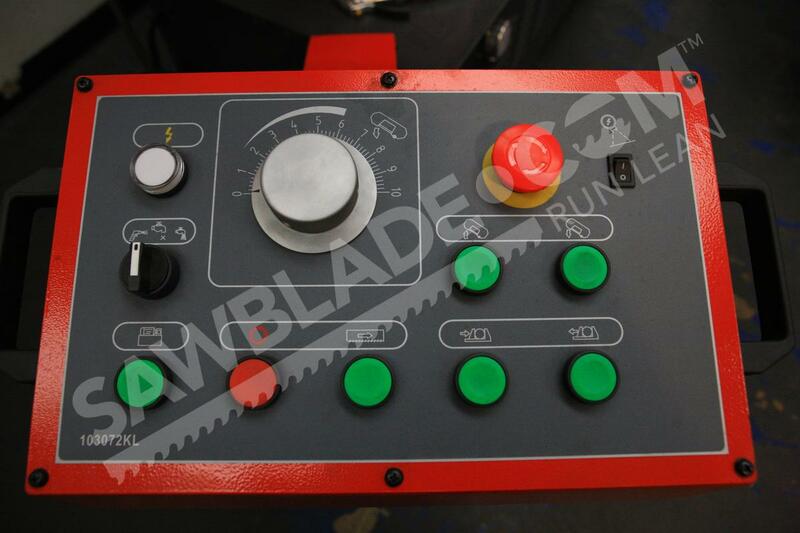 Its one of our most popular saws; it is perfect for fabricators and machine shops that need to tackle a variety of applications with just one machine. 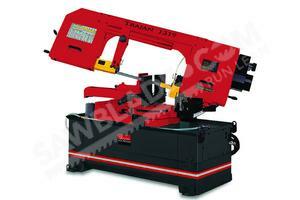 The Trajan 1319 is a manual, pivot style, dual miter band saw. 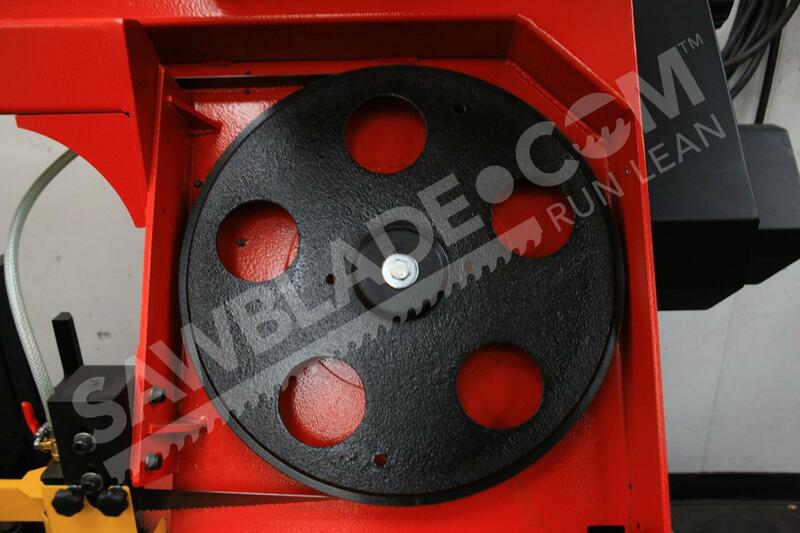 It possesses a movable vice, which helps operators quickly reset the saw. It is capable swiveling its head, letting operators make cuts much faster because they don’t need to move the work piece at all, only the vice and the head of the saw. The Trajan 1319 comes standard with a movable control panel, which allows for comfortable operation and easier access to the saw. 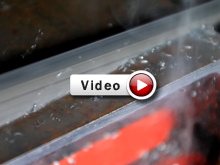 In addition to these features, this band saw’s built-in coolant system attributes to its ability to cut a variety of materials and keep your blade cutting for longer. Its wash down hose makes it simple for operators to make sure that the saw is clean before, during, and after a cutting operation. The Trajan 1319 has quite a few safety and quality of life features that make the saw an attractive addition to any workshop: •	It comes a laser indicator that ensures operators will know exactly where the blade will meet the work piece, making cutting operations quick and efficient. •	Its positional material stop makes cutting a large volume of material with the same measurements simple and quick. 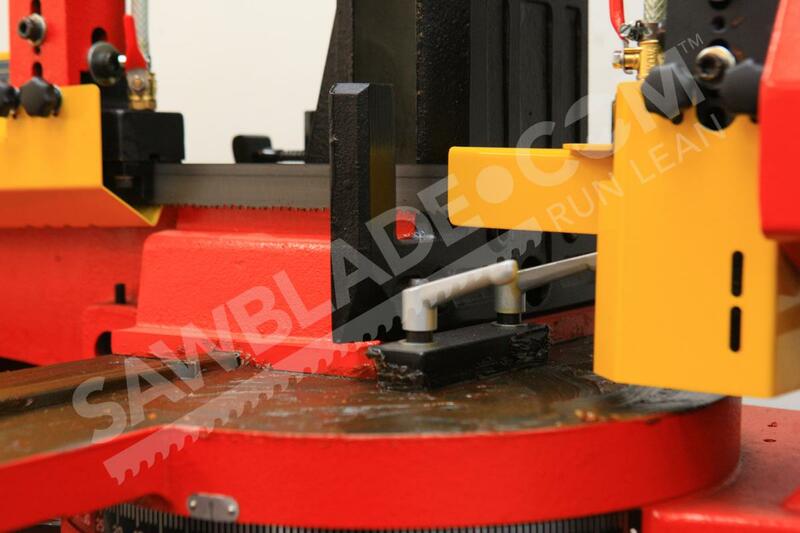 •	The pressure gauge lets the operator know the exact tension in the blade so they can adjust as necessary. •	Its variable pulley chain system makes changing the speed a breeze. Even with all these features, the maintenance on the Trajan 1319 is similar to any other band saw: It needs to be kept clean and its parts and fluids need to be replaced on a regular schedule. 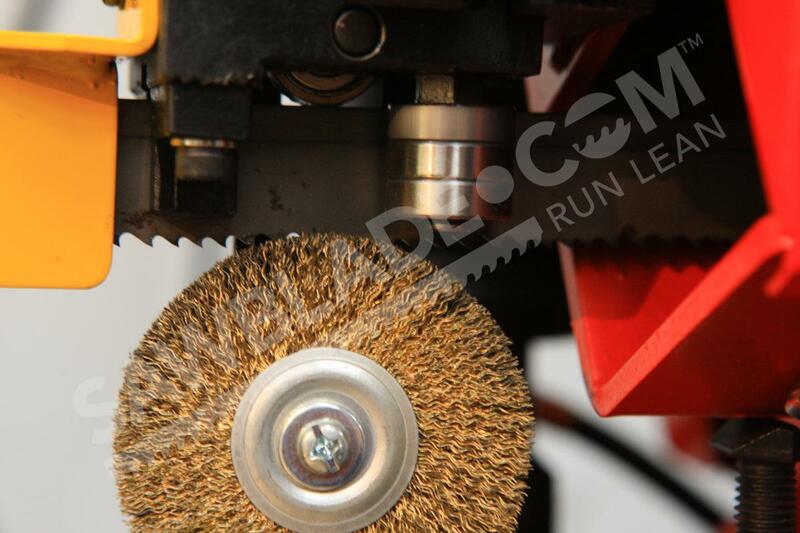 The Trajan 1319 is a slick saw that makes cutting a wide variety of materials efficient and convenient. If you have any questions about the Trajan 1319, or want to know about other saws in stock, please contact us today.